Brand: RMS Royal Medical Solutions, Inc. 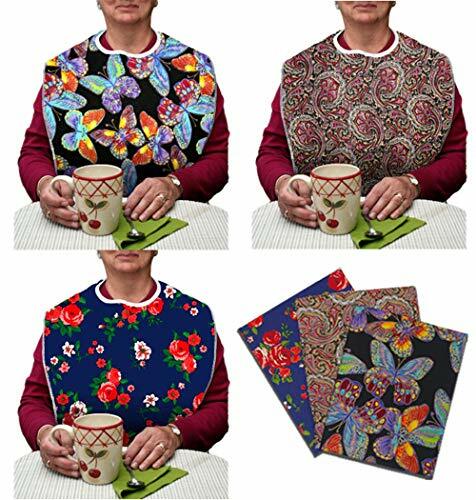 Comfortable fit and decorative designs help hide stains. Elegant front design with high quality cotton material provides softness but durability and waterproof back barrier keeps clothing from spills and staining. Machine wash and tumble dry medium. Do not use Bleach. 34"L X 18"W.
If you have any questions about this product by RMS Royal Medical Solutions, Inc., contact us by completing and submitting the form below. If you are looking for a specif part number, please include it with your message.